But it’s working for him, I guess, and his upcoming album has a Brandy Clark co-write and a duet with Lee Ann Womack. Here’s hoping that “Whatever She’s Got” gets him a good enough foot in the door that he can actually walk through it this time, and sneak some material worthy of this talent in with him. I couldn’t agree more with this review. I’m a big fan of Nail and have both his albums. How can Sound of a Million Dreams barely crack the top 40 and this mediocrity be such a big hit. I’ll never understand it. Agreed. Can’t stand this song, but I am at least glad its doing well for the sake of David Nail and his prospects to keep a label and keep making music. Happy to hear that the upcoming album has a Brandy Clark co-write and duet with Lee Ann Womack. I like the song very much but agree that country radio airplay is a huge head-scratcher these days. My favorite Nail song remains “I’m About To Come Alive”. I’m always happy for any success for this man with the most amazing voice. I don’t think “Whatever She’s Got” is a bad song, per se, but it has many of the trappings of a B-list singer-songwriter who is adamant about retaining commercial relevance after a previous pattern of hit-and-misses. Secondly, while Nail’s vocals are obviously in as fine a form as ever, the use of Auto-Tune (and echoing effects) here is tragic. You do NOT need either of these, Nail! You know how to NAIL your performances! Finally, it comes to no surprise to me given this is Frank Liddell we’re talking about here after all……….but this is overproduced. From the overly loud and compressed mix to the obvious hot-and-cold dynamic that polarizes the vaguely hip-hop beat driving the verses to the jangly pop-rock bombast in the chorus, the song would have carried more effectively if the acoustic guitar, banjo and live drums had driven the verses and the chorus was punctuated by electric guitar. And……….I’ll say this. This is an effective earworm that probably achieves all it set out to do in proving Nail can deliver more than depressing songs on the radio. The chorus admittedly has gotten lodged in my head, so on a technical songwriting level, “Whatever She’s Got” is quite strong. The lyrics, overproduction and unnecessary use of vocal effects, however, keep this from attaining “something more”. I’m giving this a C+. 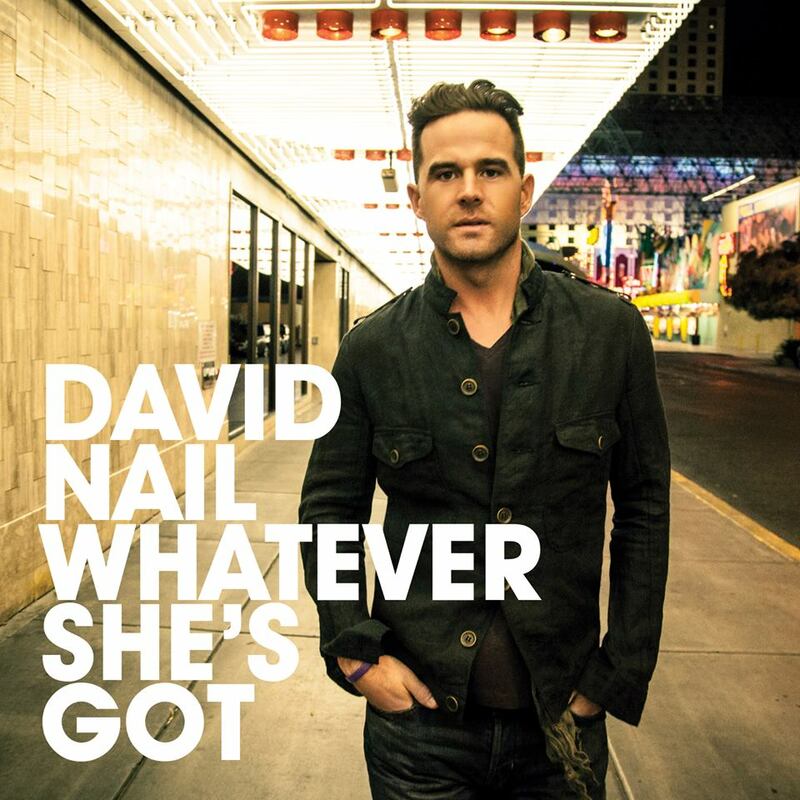 David Nail is one of my favourites, in the batch of “New Artists”. His vocal are instantly recognizable. His material is always top notch. That is, until now. “Whatever She’s Got” is a step down from his previous work. It doesn’t hold up well against “I’m About to Come Alive”, “The Sound of a Million Dreams” nor “Let It Rain”. Despite the criticism above, I’m happy he’s released this as his lead single. He needs a hit. He needs enough momentum so that he can continue to release stellar material. We need him to stick around. Honestly, “Whatever She’s Got” is damn catchy. If I had to choose between this and almost anything else on radio, there would be a clear winner.